Yun Guohong, president of Inner Mongolia Normal University (IMNU), attended the 2018 Forum on School-enterprise Cooperation in Beijing on July 20 to seek new ways of developing skilled talent. Organized by the Chinese Association of Higher Education and a Beijing enterprise, the forum was attended by more than 300 representatives from domestic and international universities, and more than 600 representatives from airlines and other enterprises. Attendees discussed expanding cooperation between enterprises and educational institutes. 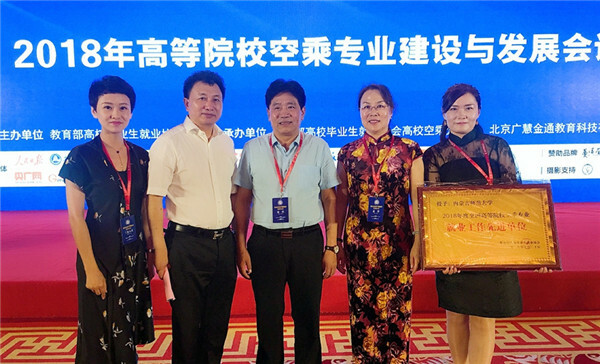 The same day, Yun also attended the closing ceremony of an aviation service skills competition, an attempt by the Chinese Association of Higher Education to strengthen links between universities and the nation's airlines.